Rav Lifestyles is a vintage-inspired home decor store that made us rethink our home decor. Visit the store and invest in some quality home decor from this store. A quality home decor store located in Santa Cruz, Rav Lifestyles houses custom made furniture, sofas, chairs. Think dressers, cabinets, coffee tables and a lot more. The vintage decor industry is all about reclaimed woods, distressed fabrics and restoring pieces to their original glory, according to them. 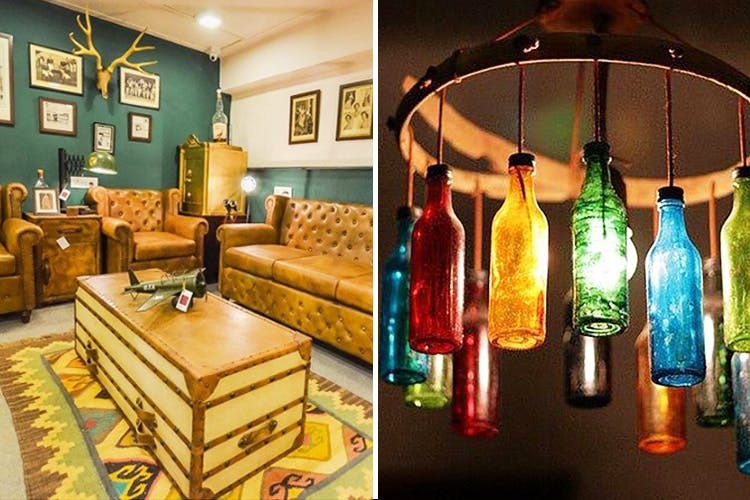 You can expect to get you hands on lamps starting at INR 4,000, candle stands sourced from all over the world starting at INR 3,000, mango wood trunks starting at INR 20,000 and recycled wood pieces. They have recently turned an old vintage door into a cupboard. You’ll also find re-purposed dressing stands, book shelves and more.There’s a discount going on for this month that entitles you to get anywhere between 10-15% off on the pieces. Now, the decor pieces may be on the expensive side but hey, splurging once in a while is okay. It’s great to come back to a beautiful home.